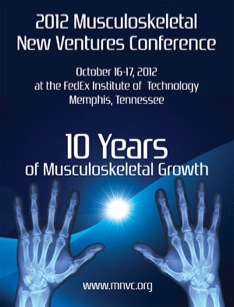 hippet Creative is proud to partner with the Musculoskeletal New Ventures Conference for the past ten years. Our projects include website development, email marketing, promotional and conference print collateral. The MNVC is an annual conference bringing together surgeons, medical device companies, researchers and venture capitalists from around the globe to develop ways to promote the latest technological advances in the field of musculoskeletal disease.